Greece is one of those countries that is totally diverse and one of the best places in Europe to visit. 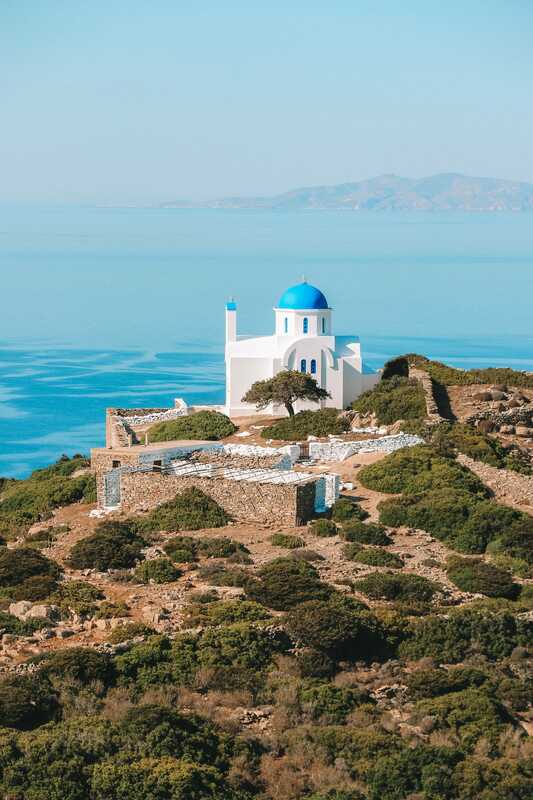 Plus, let’s be totally honest, the islands of Greece are just too good to miss. 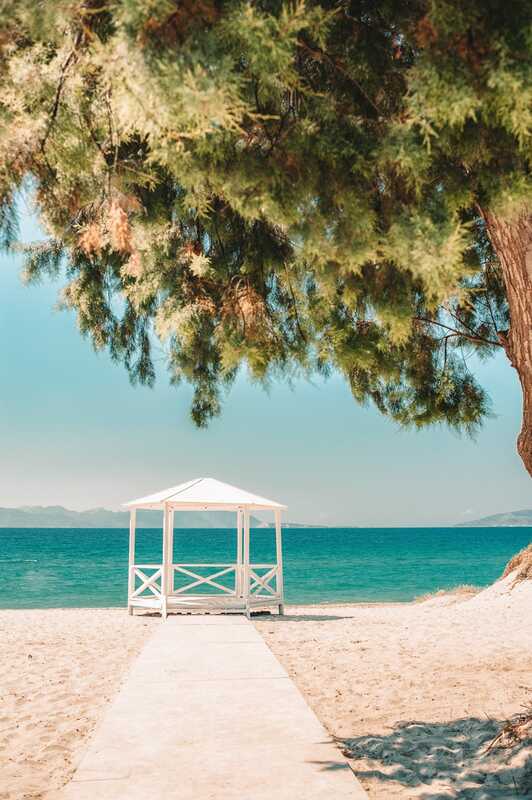 This is why I wanted to show you some of the very best things to do in Kos, a stunning Greek island that lies just off the coast of Turkey. Now, with hundreds of Greek islands to choose from, it can be hard to narrow down your search to just one island. That being said, Kos should definitely be one island gem you really shouldn’t miss. 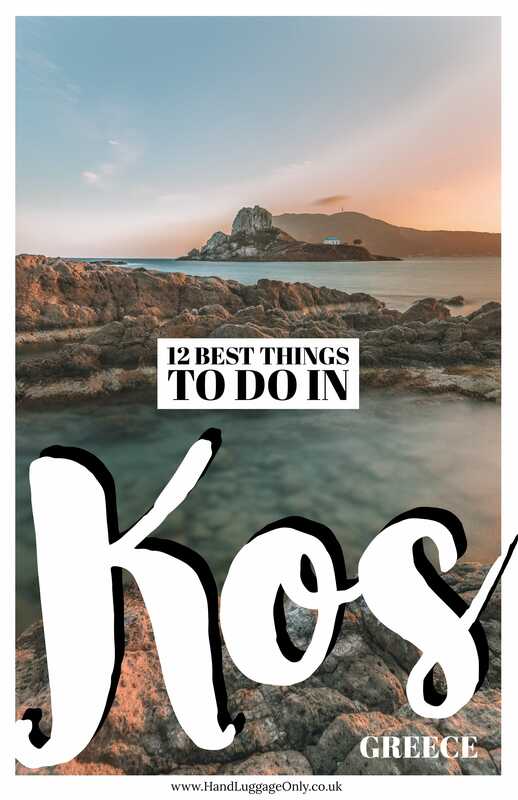 Unlike the bigger islands of Crete or popular islands like; Santorini or Mykonos, Kos is a lot more chilled and a lovely spot to spend a week enjoying that famous hospitality (and amazing Greek food that I always gorge on). 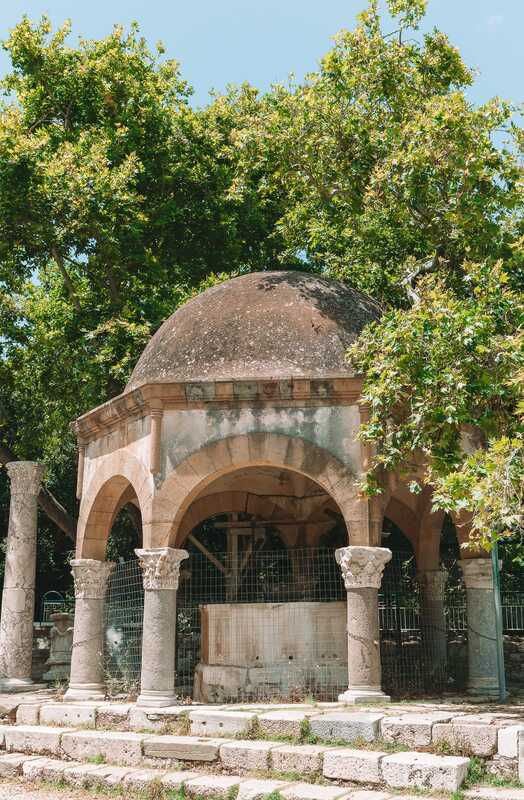 The Asklepieion is an ancient centre of medicine close to Platani to the south of Kos Town and easily one of the best things to do in Kos if you want to explore the island’s long history. Now, the centre has been in existence since the 3rd century BC and is easily one of the island’s most important and iconic sights. Now, if you are visiting on a sunny day, make sure to take plenty of water and a hat with you, there is very little shade and that Mediterranean sun can be strong! Entry costs around €8-10 and you can probably spend about 1-2hours once inside. Kastri Island is only around 150-200 metres from the shore of Kos, but it really looks a million miles away. 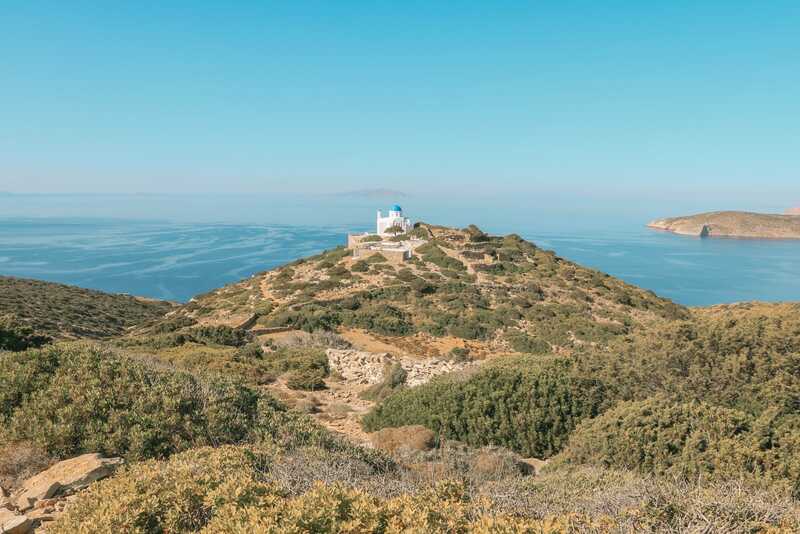 With only a tiny little church, it’s a dramatic little island that can easily be seen from Kefalos. That being said, I’ve seen lots of people even swim over to the island as it’s so close to shore. Though, I’m always so cautious of recommending this when you don’t really know the tidal patterns or currents. After all that swimming, head over to Mediterraneo Restaurant (in Agios Fokas) who serve up some of the best seafood on the island. Now, one of the best things to do in Kos has to involve its stunning coastline.. and boy is its coastline gorgeous! 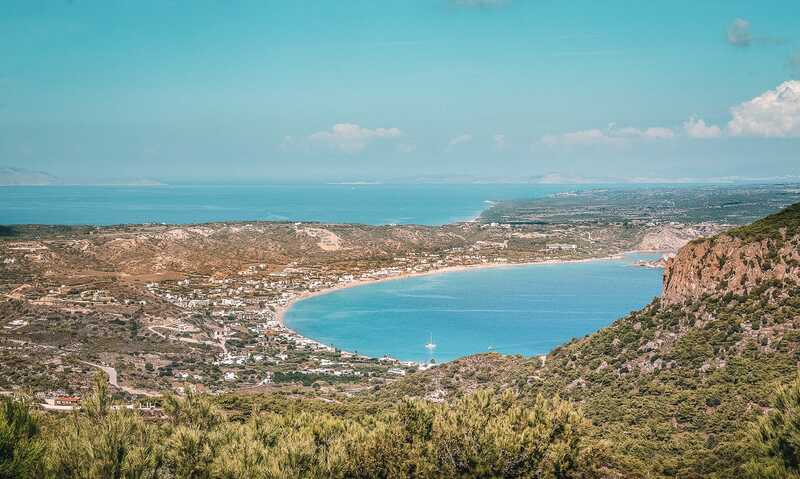 For some lovely beaches, head to Kefalos Bay for spots like; Agios Stefanos, Kamari and Agios Theologos Beaches. That being said, if you want something away from most other people, head to Kala Paradiso Beach or Tingaki Beach. Honestly, you’ll be spoilt for choice. 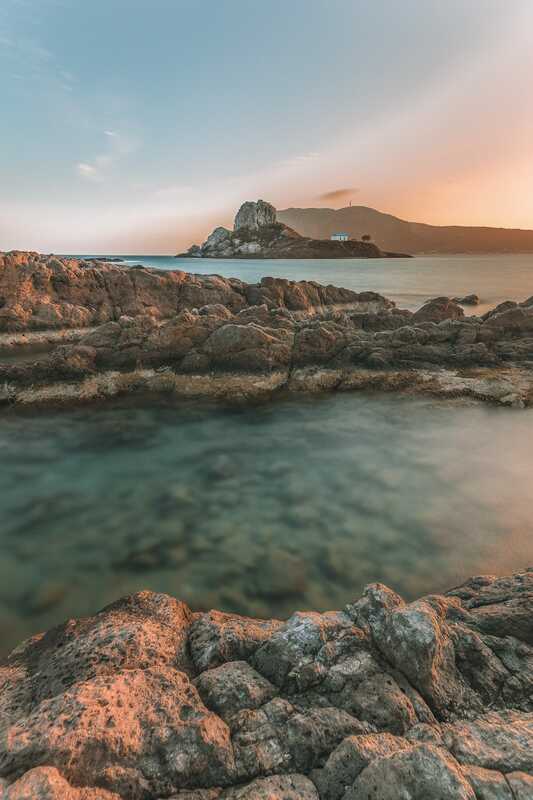 And if you can’t decide, just hop in your car and explore the coast… I guarantee you’ll find hundreds of hidden coves and beautiful bays to paddle. If you want to visit a typical Greek village, head straight over to Antimachia and explore its charming streets. It’s the kind of place you instantly feel like you’ve been taken back in time. It’s idyllic. Antimachia is around 20-km, or so, from Kos Town and really easy to visit during an afternoon galavant. 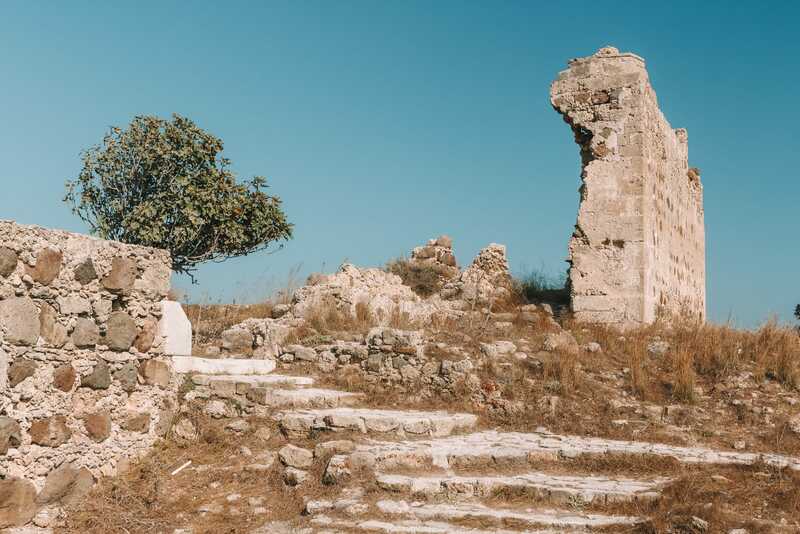 Once here, make sure to visit the old chapel, stop for a typical Greek coffee (quite powdery to taste) and enjoy the views across this gorgeous area of the island. That being said, if you want some of the best Greek coffee on the island, head to The Watermill of Zia which is probably one of the best ever. That being said, they have loads of ouzo if that’s more your scene. 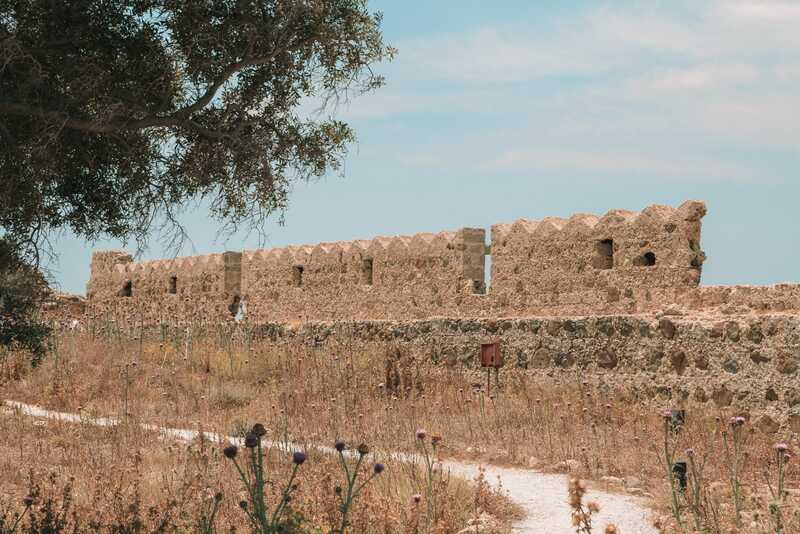 After spending some time on the beautiful coastline of Kos, you might wanna visit the Castle of the Knights of Saint John. It’s a gorgeous area of the island to see and well worth a little gander when exploring the island. Now, the castle was constructed using local stones from 1380 until 1514, meaning its pretty historic. Oh, and don’t forget, the view from the top of the tower is immense. The Roman Odeon was built during the period of Roman occupation in the 2nd and 3rd centuries AD. That being said, It was only re-discovered in the early part of the 20th century in a major excavation of the area. The first nine rows of seating in the Odeon still contain their original marble seats; these were apparently reserved for the important citizens. The Odean itself is semi-circular in shape and apparently was once roofed for events that happened on the island. After taking a wander around and seeing the ruins of the skene (the stage) and learn more about this history of this place. It’s easily one of the best things to do in Kos if you love history and, best of all, it’s totally free. The Casa Romana or the Roman House is in another area of excavation and has been dated from the 2nd century. 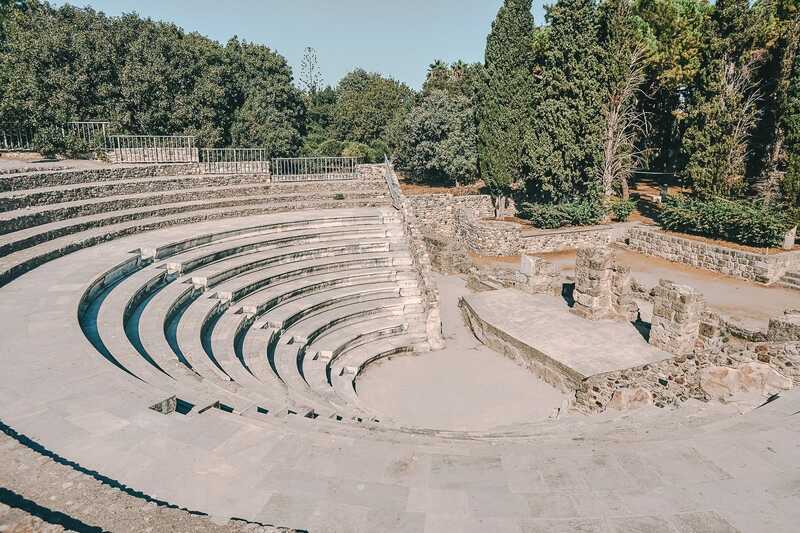 If you’re something of a history buff, you’ll love this spot and it’s certainly one of the best things to do in Kos if you want to explore the island’s Roman heritage. Once here, make sure to see the frescoes too… just make sure to keep your eyes peeled for the one that has a panther and a bear, and it’s so elaborately decorated. 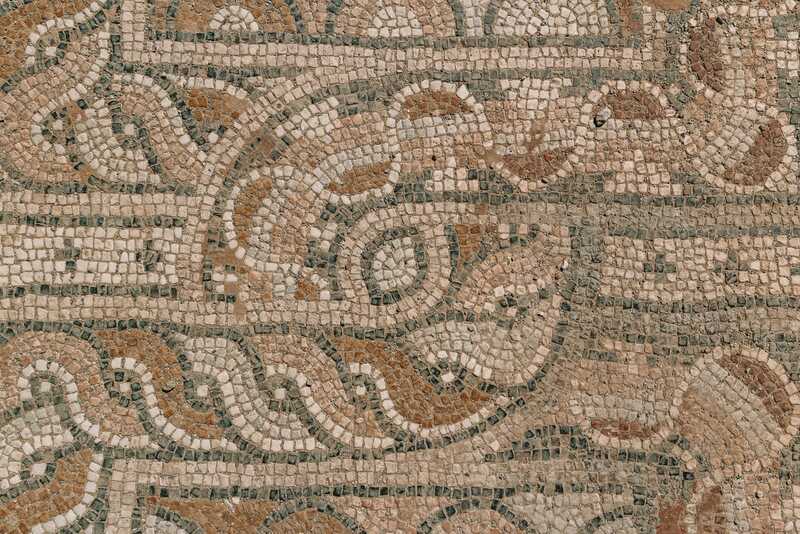 Finally, don’t forget to see the ancient mosaics too. You’ll be transported way back in time. Hippocrates Tree is located pretty close to the Castle of Knights and one spot you can’t miss when in the area. This huge old tree is around 500 years old and is claimed to be the largest in Europe. It replaced an earlier one that, apparently, Hippocrates planted and sat under to teach his students. The original tree may have been replaced on more than one occasion as Hippocrates lived around 500 years BC. Now, you’ll probably only spend 10-minutes, or so, here but it’s well worth partnering it up with a lunch in one of the tavernas nearby. After heading around the village of Antimachia itself, it really is well worth heading to the castle that’s nearby, too. 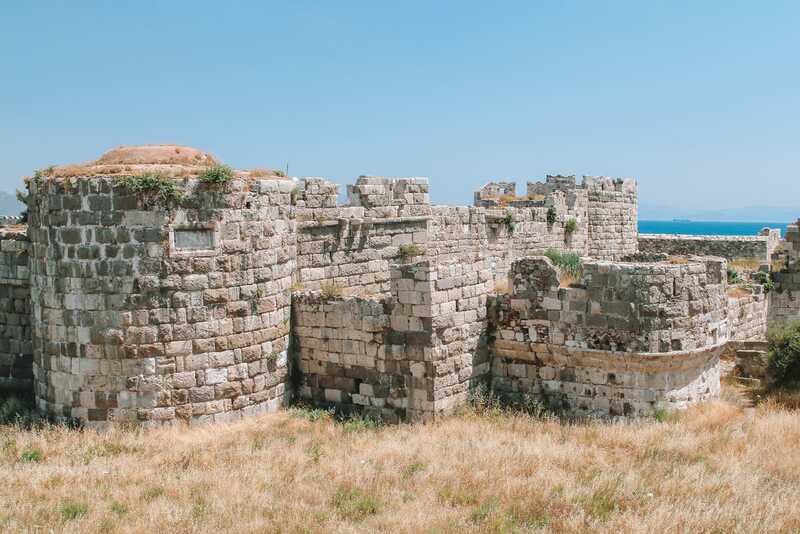 Yes, the Venetian Castle of Antimachia might be in ruins but it is no less impressive, especially if you want to explore the ancient history of this island. Built in the early part of the 14th century, improvements were completed in 1494 which is shown by a plaque you can see over the main gate itself (from what I remember). Now, the castle walls still stand, inside there are two churches you can visit although most of the other buildings are a little more precarious. Afterwards, take a little trip across to the Antimachia mill and Plaka forest if want a little stroll. It’s a beautiful area. 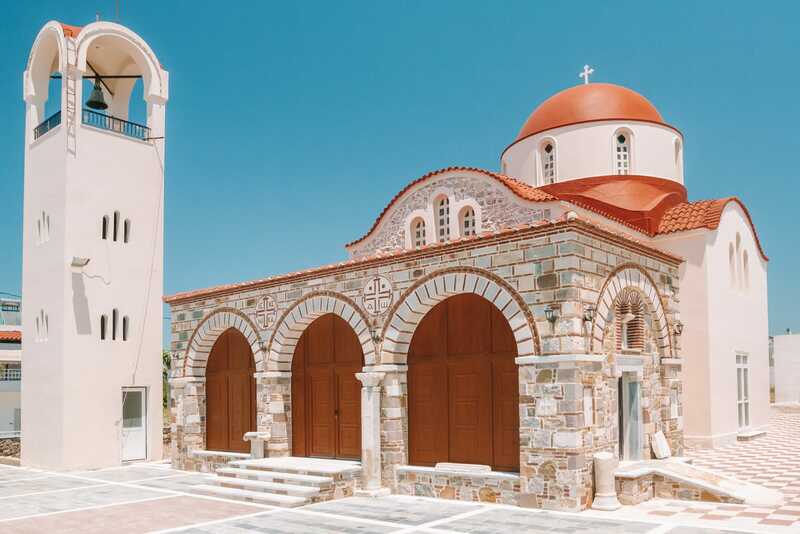 The church of Agios Ioannis is located on the south side of the island at the end of a road 7km from Kefalos. Now, it can be pretty hard to find, but don’t let that put you off. The church might be a little small but beautiful with a golden chandelier hanging from the ceiling that’s gorgeous to see. You’ll also have some incredible vistas across the island from here. Oh, and if you visit on the 29th of August, the monastery organises a feast day and lots of pilgrims arrive on that day to pay their respects. 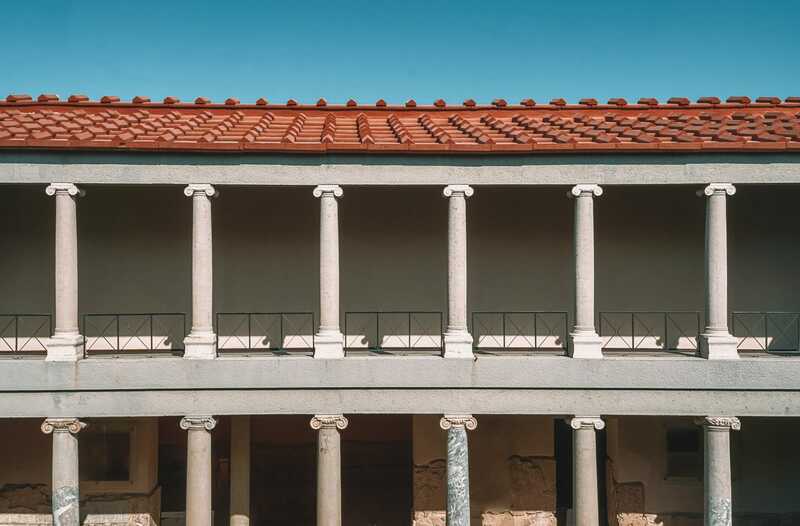 So, if the weather takes a turn for the worse or you want to see more of the island’s history then the Archaeological Museum is the place to be! 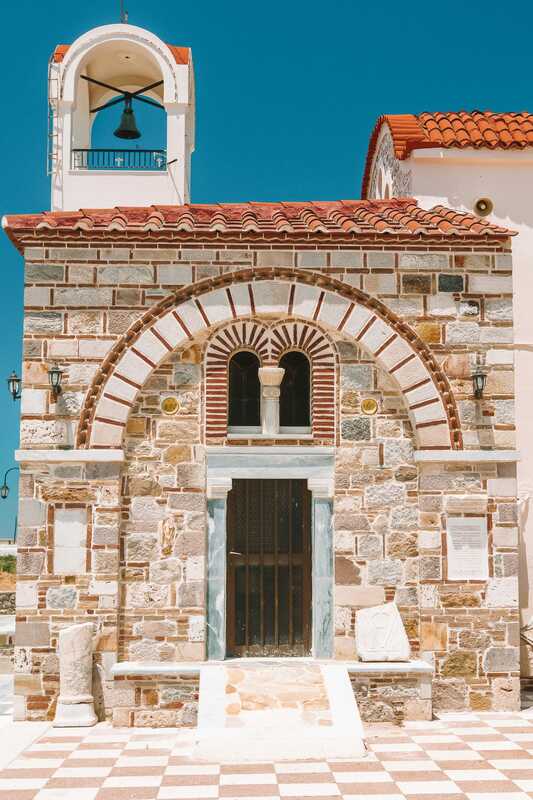 It’s easily one of the best things to do in Kos that houses a whole range of historical artefacts and records from the prehistoric period. 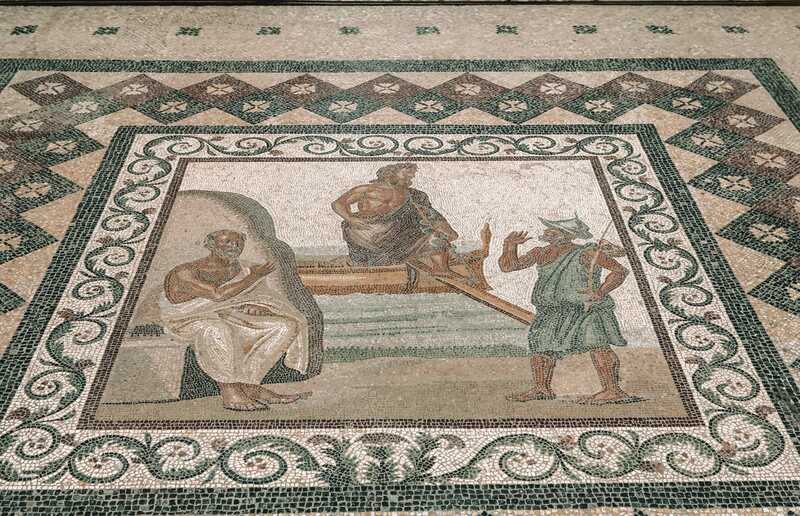 Once here, make sure to keep your eyes peeled for the intricate mosaic of Asclepios and Artemis. Now, the museum is usually closed on Monday, so make sure to plan around this. 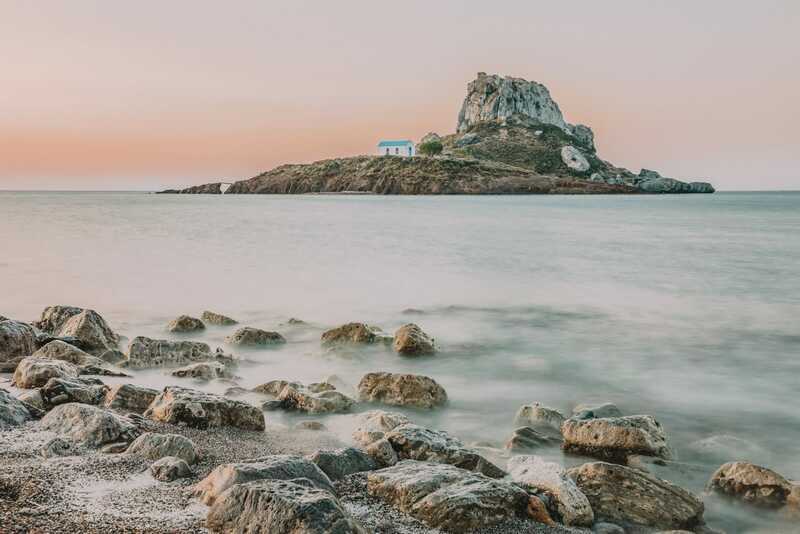 The Kos White Stone Cave has unearthed some amazing finds dating from the Neolithic Age and one gorgeous spot to see whilst in Kos. 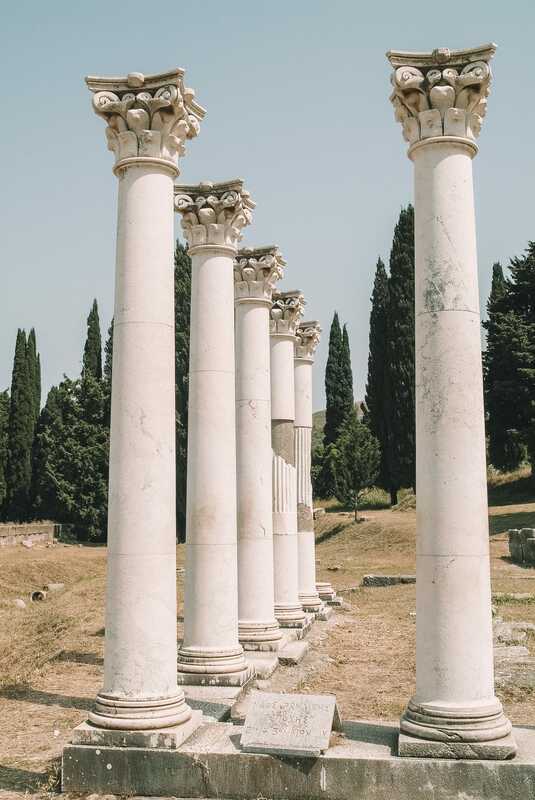 Now, without going into a whole history lesson, these findings have helped prove that Kos has been inhabited since about 2900BC. This alone makes the cave area significant. Around 15-minutes drive from Kefalos, that’s often forgotten about in lieu of the beautiful beaches of Kos. That being said, if you want a little stroll and to see the gorgeous geography of Kos, this is the place to go. Afterwards, pop over to Kardamena and head to The Garden for a beautiful and truly authentic Greek meal. It’s a gorgeous spot where you’ll eat under the olive trees outside.